The small 90 square is a great little pocket tool. Use it to check for a 90 degree angle inside your box frame before glueing small boxes. 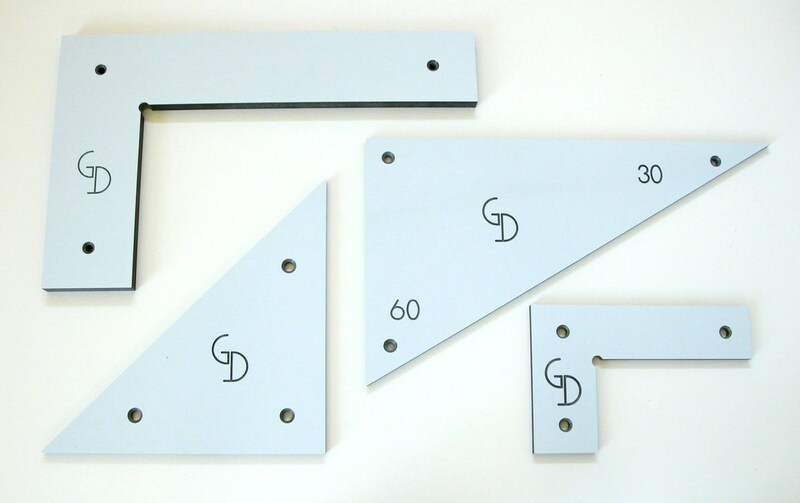 The small 90 square is machined from compact laminate using a five step process on a CNC router. It has a guaranteed accuracy of ±0.05mm. a 45 triangle. Use this triangle to check for 45 degree angles when cutting the miters on a frame-and-panel box lid. a 60/30 triangle. Use it to check for the accuracy of 30, 60 and 90 degree angles in your box making.